Review: The processing time was a little long, but it was well worth it. The hair is better in person, great quality, no shedding, no funny smell just soft, bouncy, and gorge. Once the order processed I received my hair in 2 or 3 days. THIS HAIR IS WORTH EVERY CENT. I have found my hair plug. Review: Great customer service and communication from Asa. Well done Asa, I hope you will keep up the good customer service. 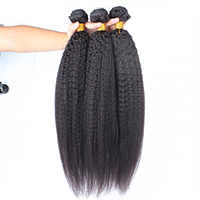 Review: The hair is beautiful, I don't like the smell but a co wash should take care of that.The 360 Frontal is everything I really like it and they already took care of the baby hair which look awesome. The communication with the seller was great she responded to every message and reassured me everything would be taking care of with the hair & the shipping process. my hair was supposed to arrive on a Tuesday my hair got here on a Saturday, 3 days beforehand. I can't wait for my install I'm very excited. Review: 5 star service from begining to end of transaction. Asa was available to answer any questions and address any concerns. The shipping took just 3 days and the bundles arrived a day ahead of schedule. The hair itself is gorgeous and both frontal and hair bundles matched very well. Running my hands through the hair, I got no shedding at all but will update this particular area once I have created the wig. The frontal came pre-plucked and slightly dyed which I like, however I'm considering dying it further or staining it with tea to achieve the colour I prefer. I felt the hair bundles were a little thin but considering its 360 frontal and deep wave, you might not need a lot of hair as it might get bigger as it gets older. I have had serious problems with the curly hair textures in the past as they matt horribly after a while so I will be sure to update you guys on how the hair holds up later. All in all, excellent service, beautiful hair and I totally recommend this vendor. Review: This hair is everything. Very soft with minimum shedding. Shipping was very fast. Asa provided get customer service. I used the hair to make a full wig and I am very happy with the results. Well order again!!! Review: I'm in loved with the hair, just received it today. it was everything the seller said it would be. The seller was amazing, communicated with me through the whole process and made sure I received on time. Review: Really love my wig. Asked Lily and the team to customise the hair as I wanted an ombre style. Had to wait a little longer but it was worth it. Really love the wig. Looks natural and the colour of the ombre is perfect. Will post pictures once I get it cut. Great service as always. Review: This 360 frontal is the best I've ever seen ! Buy this product! Bleached knots and very good hair! I love this product! I'm so happy! It came really fast too (one week)! I would recommend this to anyone looking for a perimeter closure it's really great! Review: Looks exactly like the picture. Im a bit dissapointed because i did request to have ajustible straps installed and that request wasnt complete. However the frontal is beautiful, it is just as described. The hair is true to length and it arrived in about 5 days to the US. Seller is very nice and honest so ill definetly order again. I will upload install pictures when the unit is installed. I hope this was helpful. Review: Best frontal ever! So soft and versatile, the seller was amazing and my hair came within 3 days and I love in the uk. 100% recommend you buy its so beautiful. The knots aren't bleached but that can easily be done. The hair also came with wig clips which was so helpful. I can't fault this hair or the transaction at all. Review: Just received the hair today! Love it, this is the second time I've ordered and I love the hair, also eyelashes, which is great. I had great communication with the courier. I'm happy again with the hair and will be buying again in the future !! Review: hair is absolutely gorgeous and I am definitely buying again. Customer service was excellent and got all my questions answered in a timely manner. If you want a frontal this is the hair to get. It was my first time ordering one and i wasn't too sure how it would come out but it looks amazing. Review: This Hair is fantastic! Good quality Silky soft hair. It gets even softer after co-washing. Can't wait to install this hair. The communication with the vendors was awesome,realy helpfull. Review: This hair is really good, soft and true to length, maybe even longer! It dyed well and didn't loose its curl pattern when dyed. My only issue is that it sheds quite a bit even after I put fray glue on the frontal. Fortunately because it's curly you don't notice it. This hair is good value for money and the seller had good communication and was helpful. Review: Simply amazing. The best shopping experience I have had,The hair is just lovely everywhere I go I receive compliments on it, and my friend just ordered the same hair today because she loved mine. 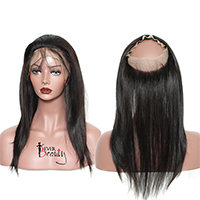 This is my frist time to wear this 360 lace frontal, it make my hair looks SO NATURAL, the hairline is perfect for me. Review: Very Good Frontal.Beautiful hairline and so many baby hair ,l love it.They are very full!!! Review: this the best hair i have ever bought i tell u no damm lie this hair is so versatile full natural looking soft holds heat well colors nice. frontal and bundles are perfect! 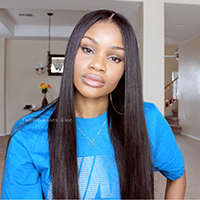 Review: Love my 360 lace frontal! It was delivered at my house super quick, in exactly 3 days from ordering! The hair texture is soft and the hair hasn't shed at all.I would purchase this hair again and the seller was quick with responding to me when needed. Review: Just receive my hair today and I like it.. Although I must say it had a little smell in the hair for me,until i wash it then the smell had disappeared.Other that communication was great btn me n my seller and delivery was the quickest possible.. Thank.. I will order again for the third time.. .. I recommend to everyone u won't b disappointed..
Review: the hair is very beautiful,I Am so in love with the curls they are so Pretty. the hair is very soft it doesn't have an bad smell at all. i ordered a 16 inch unit 130 destiny , but for next time i will go for 150 or 180 destiny. very good hair and lillian was so nice. for sure I will order again .thank you lillian. Review: fast shipping and the seller was very responsive with questions I had. my aunt loves the frontal. Review: This is my second time ordering this hair. It is amazing!!! Review: Great customer service!!!! 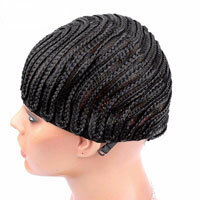 I can't wait to wear my frontal. Review: First off let me say that this is an amazing idea and I am glad to have come across and have tried it. I referred a friend to get one as well and while her construction was slightly different than mine in regards to the hairline. I do believe mine was a better starting point, but hers is still workable. I did pluck mine to make it blend seamlessly -- my first frontal that I've attempted this on, and it looks like a dream. The hair took color very well while holding the frontal construction. The quality of the hair is very good. I noticed that the length seemed a bit long upon removal from the package, but when installing onto a cap with my bundles, everything layered appropriately and beautifully. The additional hair on the elastic band is a great idea and added dimension to my color job when the wig was fully constructed. The hair blends perfectly with the bundles I purchased from another vendor. I would definitely purchase this product again. Review: This item is perfect I love it. Just received it today and it looks amazing. I can't wait to install it I will definitely order more very soon all but the waiting Time to be made was a week but I understand shipping was very fast after shipped on Friday received on Monday excellent thank you very much. Review: installed the hair. I love it. washed it and it stayed so soft. I recommend this hair.